I was in Copenhagen this past week for a company event that I was hosting. We were bringing a number of customers together for a European User Group meeting, looking for feedback on how we are doing, how the products are working and all that sort of stuff. We were staying at the Copenhagen Marriott, which sits in an amazing spot in downtown Copenhagen. 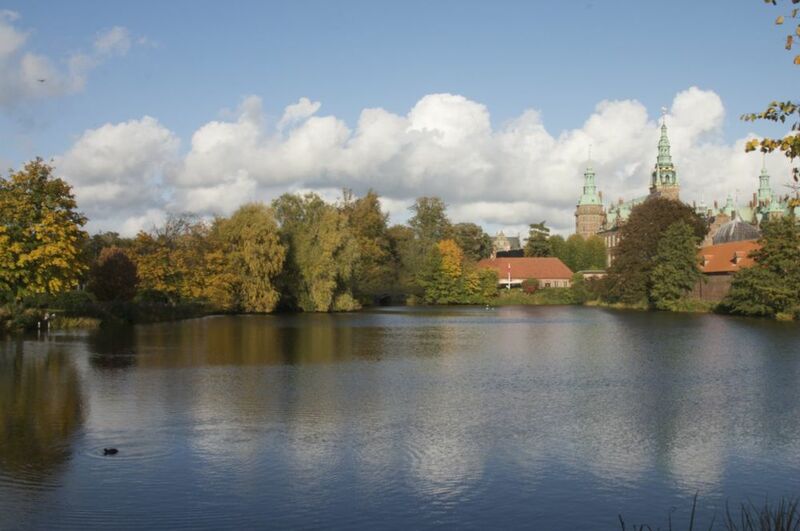 It’s on a canal, not more than 4 blocks from the main train station and the world-famous Tivoli Gardens. It ended up being an excellent location for seeing a bit of Copenhagen during my stay. The event ran Wednesday to Friday, so I arrived in Copenhagen on Tuesday afternoon. This was my second trip to Copenhagen this year, but the first time was only a very short 2-day conference, so I did not get to see any of the city. This trip, I was planning to stay over the weekend, so I figured I would have an excellent opportunity to explore. On arrival Tuesday night, a group of us went out to a hockey game on a bit of a whim. Sadly it was a pretty bad game – the team just wasn’t very good – but the crowd of a couple of hundred people seemed to enjoy themselves completely. They made a lot of noise, and the spirit of it was infectious. We stuck out the whole game – a 2-2 draw - and then made out way back into downtown. While it wasn’t much of a hockey game, it was a lot of fun. The weather was outstanding for most of the trip – only a couple of days had any rain, and most days were actually sunny and warm. It was really more than you could hope for that time of the year. The first few days passed very quickly- all work, and only a little bit of play at night. Generally it involved being out with customers, so it was mostly a well-behaved series of nights out. I did get out for a run one afternoon with Peter. 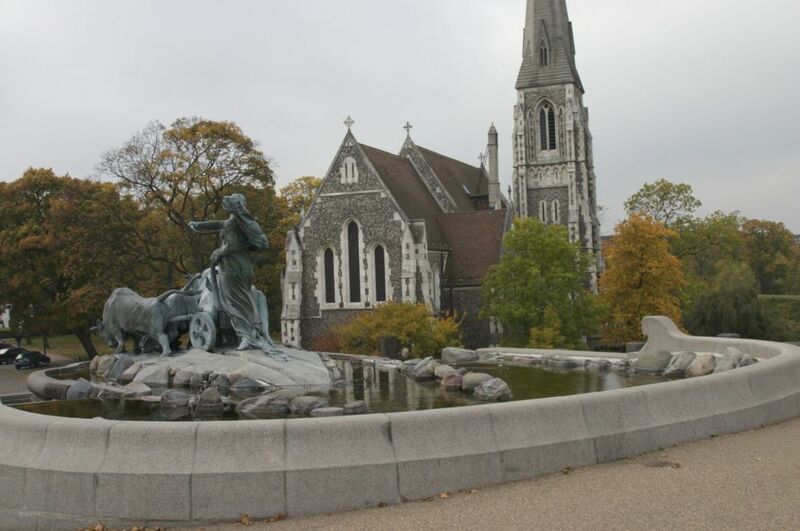 It was a good run – 7km – out along the canal, out to the park where the Little Mermaid statue is. It was good to get out running. I’ve been doing OK with keeping at least a minimum level of fitness, but I need to do more. Friday afternoon, I got rid of most of the work people. Peter was staying over until Saturday morning, so we planned to head out Friday night. We started out by heading over to Tivoli Gardens. Tivoli Gardens is a famous amusement park which opened on August 15, 1843. It is one of the oldest amusement parks in the world which has survived intact to the present day. I had heard good things about the place, and wanted to check it out. Normally open only in the summer, they open over a week or so near Halloween, and get the place all decked out. And it didn’t disappoint. The park itself is OK – very family oriented with the usual assortment of rides, games and a greater-than-expected collection of restaurants. The highlight was surely the decoration for Halloween – they went all out, and the place looked pretty cool. As expected, it was mostly families with kids, and so Peter and I did a tour around. 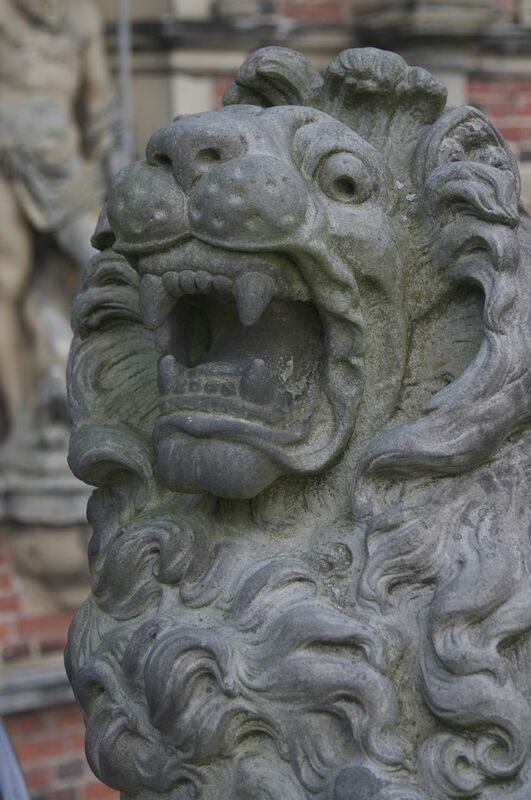 There are lots of interesting formal gardens scattered throughout the place. It wasn’t quite dark at that point, and we both really wanted to see it in the dark, all lit up. So we planned to come back after dinner. 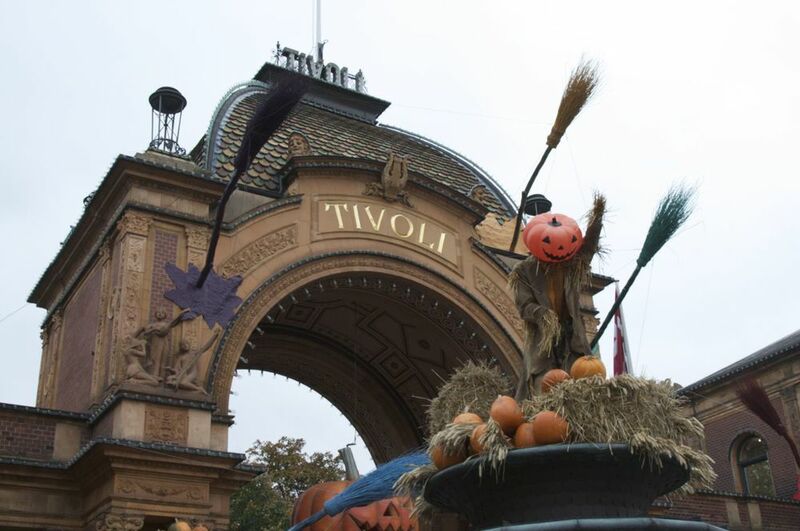 Tivoli Gardens, all decked out for Halloween. For dinner we walked down the main shopping street, over to the Nyhavn canal. There are a series of restaurants, all situated in the colourful townhouses that line the canal. Although it was cool, we started out on a patio. Eventually the wind picked up and it got a bit too cold, so we moved inside. After dinner we walked back to the hotel, via the Tivoli and checked out the place when it was all lit up. It was even more impressive in the dark, and so we spent a little bit of time wandering around enjoying the atmosphere. Saturday I woke to a bit of a cold, grey day. It figures – my first full day free and the weather turns crappy. Oh well – it wasn’t going to stop me from enjoying myself. 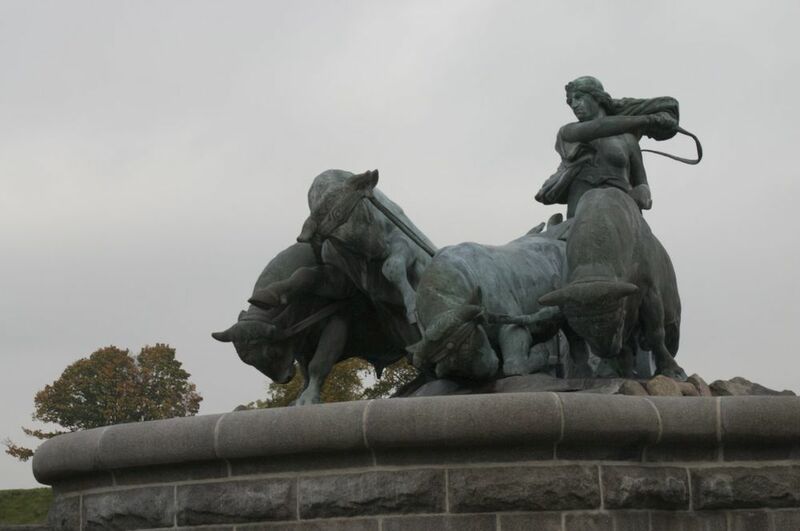 I had decided that Saturday was going to be a walking day, as Copenhagen is fairly compact, and good to walk around. Again I started off towards the centre of town, and down the main shopping street. It was quite busy, and all the shops were in full gear. I ended up back at the Nyhavn canal, where I hopped on a canal boat tour. This ended up being the highlight of my day! The tour went up and down a series of different canals on both sides of the harbour. They took that boat into some tight spots, and we saw a lot of the interesting buildings in Copenhagen from a very different perspective. There are a lot of very cool old commercial buildings that are being converted into funky housing. After the boat tour, I continued north along the streets. It was a bit surprising that a lot of the store were closed on Saturdays. Not sure why. One of my first stops was at the Palace, where I saw the changing of the guard. Then I wandered into the main Cathedral, which was quite nice. I couldn’t go up to the top of the dome (4th largest in Europe I’m told), which was a shame as they have a Whispering Gallery like at St. Paul’s. My wanderings lead me to the original fortifications for the old city (Kastellet) , which sits at the north end of downtown. There’s a series of high embankments that form a protective ring around the old buildings. It also now provides an excellent place for locals to run and walk. I walked around the whole thing, and then continued out into the city. I got a bit lost at this point. I ended up near the University, then back into the older part of the city in the “Latin Quarter”. At this point I found a cool old tower that used to be an observatory. It provided a good view over the city, and gave me a chance to get my bearings. I wandered back into the main area of the downtown core, and then back to the hotel. It was a good day wandering. Sunday, I booked a bus tour. 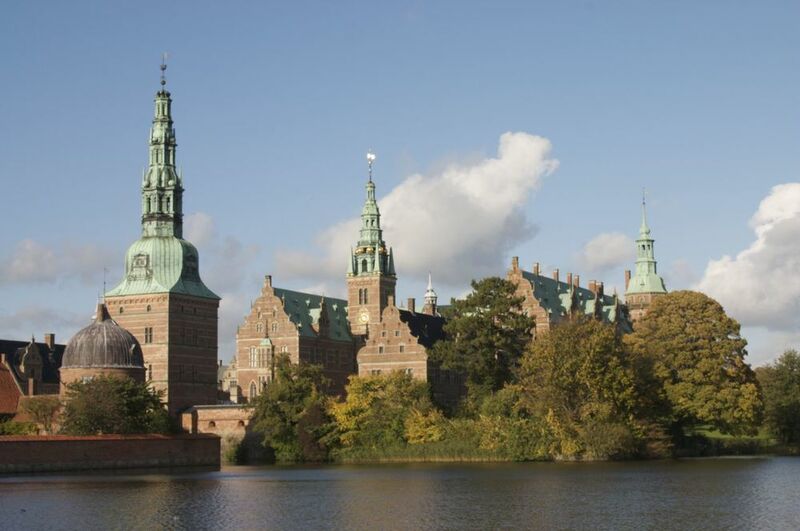 The tour was called “The Castles of Northern Zealand” – how could I pass that up. 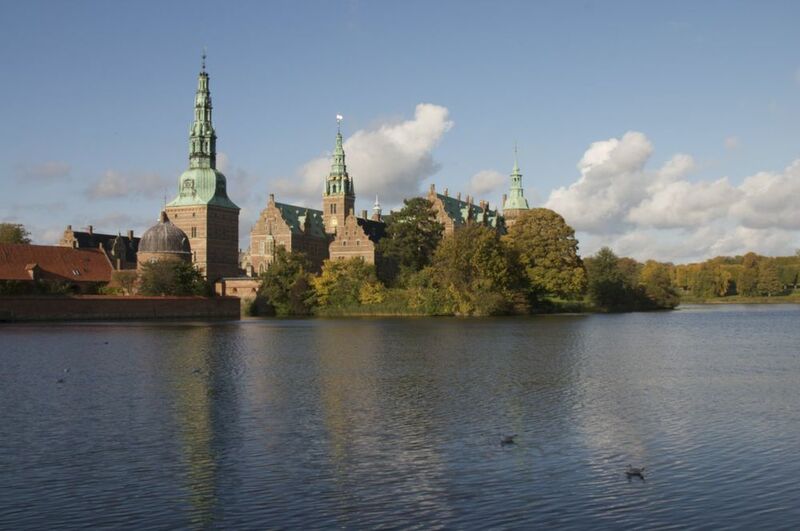 It followed a coastal route north from Copenhagen (the “Danish Riviera”), and then follows an inland route back, hitting three castles along the way. I was almost as interested in the drive as I was the castles (OK, not really). 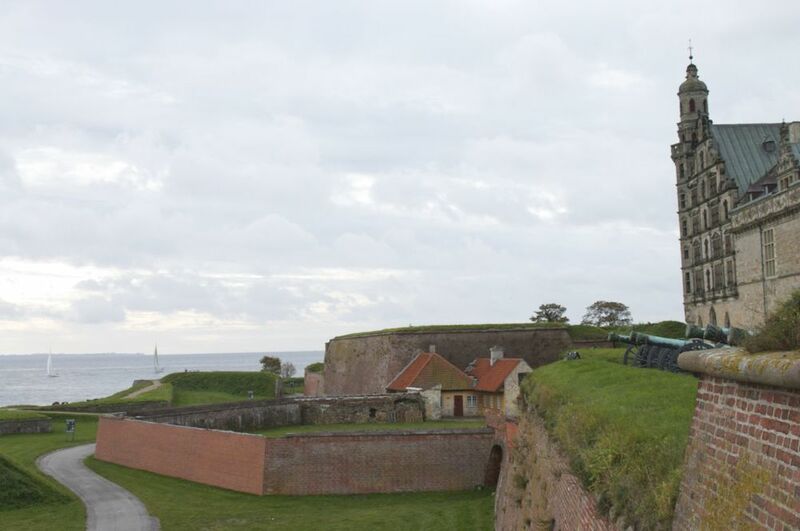 I had been told by a number of people that to appreciate Denmark, you need to get out of Copenhagen, as the city is not really representative of the country as a whole. The drive up the coast was really nice – the straight between Denmark and Sweden is not very big – at out first stop, you can see it quite clearly – it can’t be more than a couple of kilometres. 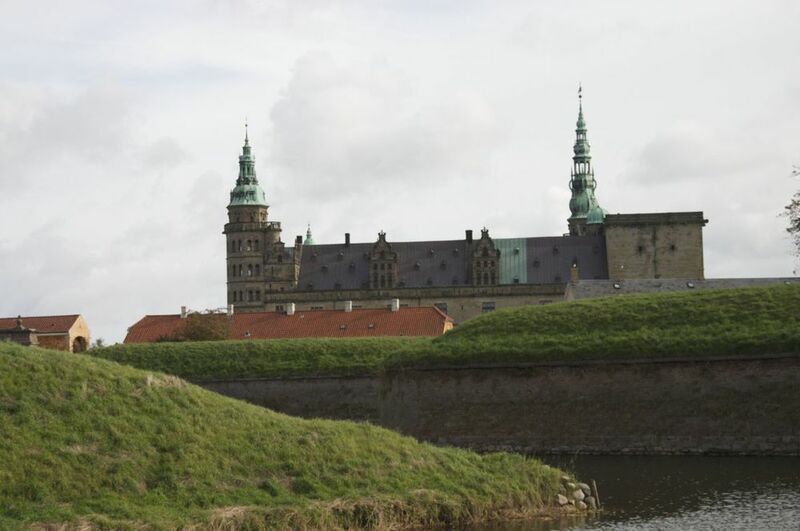 Our first stop is Kronborg at Helsingor (Elsinore), the castle that is the setting for Hamlet. How cool is that! The castle sits on a promontory of land, and used to have a very significant position in the ongoing wars in the region. The tour itself was quite cool – we got to wander through the castle dungeon; the elaborate ballroom and the re-made king’s and queen’s chambers. At the end of the tour we also were able to tour the castle chapel, which was also quite nice. We spent about an hour and a half wandering around, and our guide did a great job of filling in the back story on the place. It was early afternoon by the time we were done, so we had an hour’s break for lunch at a local restaurant. The food was good, but soon we were on our way. 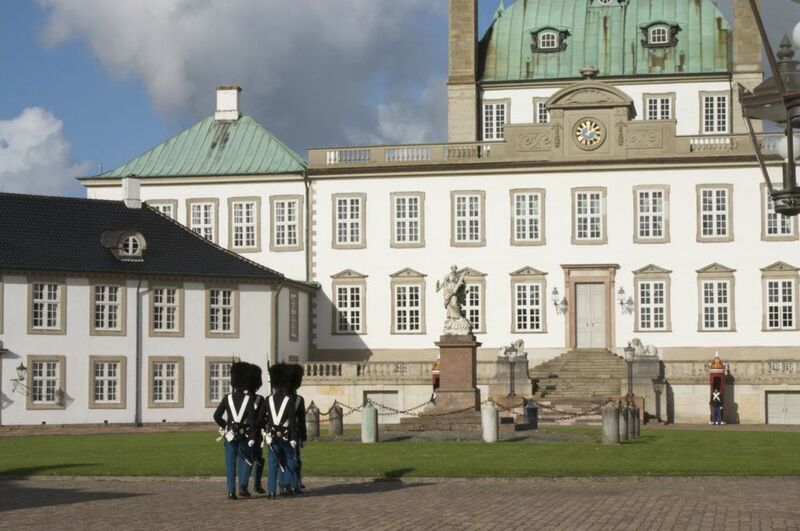 The next stop was a functioning castle – the summer home for the Danish royalty. 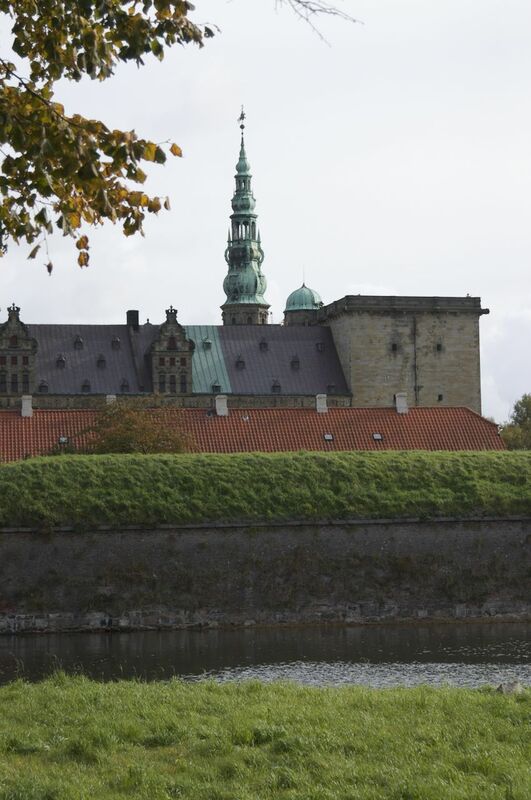 It seems that the Danes still have a very strong relationship with their Queen, and Fredensborg Palace is her summer home (kind of like Windsor Castle for the British royalty). We only stopped here for about 20 minutes, as you could only look from the outside. But the highlight was an opportunity to see the changing of the guard. The rest of the tour went pretty fast – we didn’t have nearly enough time to explore the whole place. 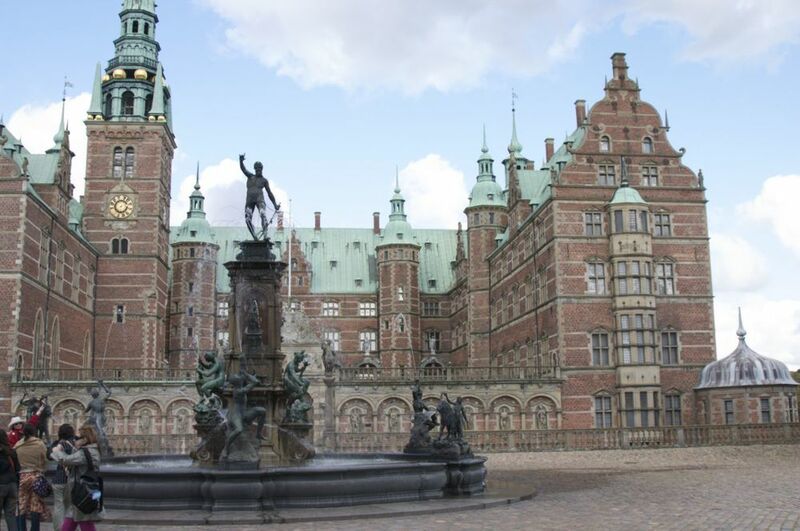 She hit on most of the major rooms – all “new” paintings from the late 1800s/early 1900s that were commissioned to depict the history of Denmark. 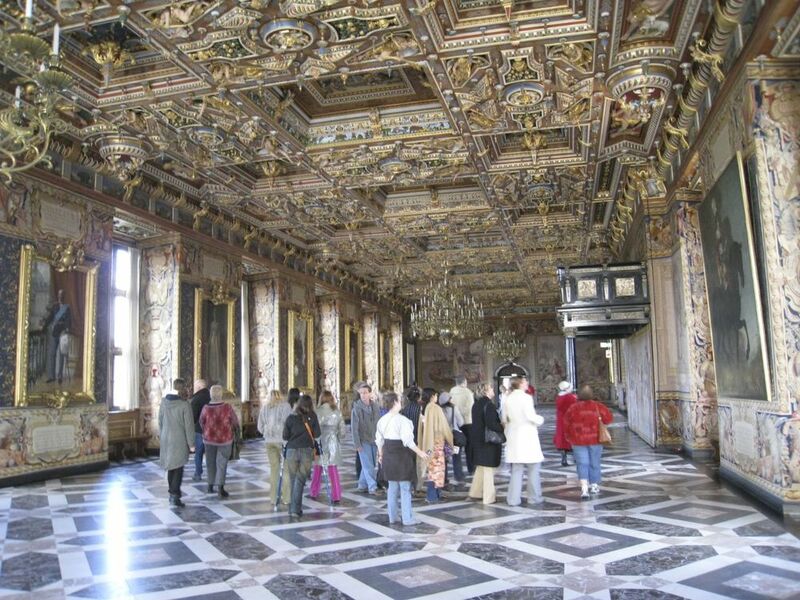 The ballroom was a highlight – very ornate – and the place is just filled with things to see, if you have the time and the interest. As the day had become quite beautiful, and the late afternoon light was nice, I used our remaining half hour of free time to wander around outside taking pictures. The bus ride back was pretty quick. Once I was dropped of back in the city, I headed to the hotel, grabbed my bags and headed off to the airport. It was a good trip to Copenhagen, and I’m glad I had some time to actually see the city this time around. 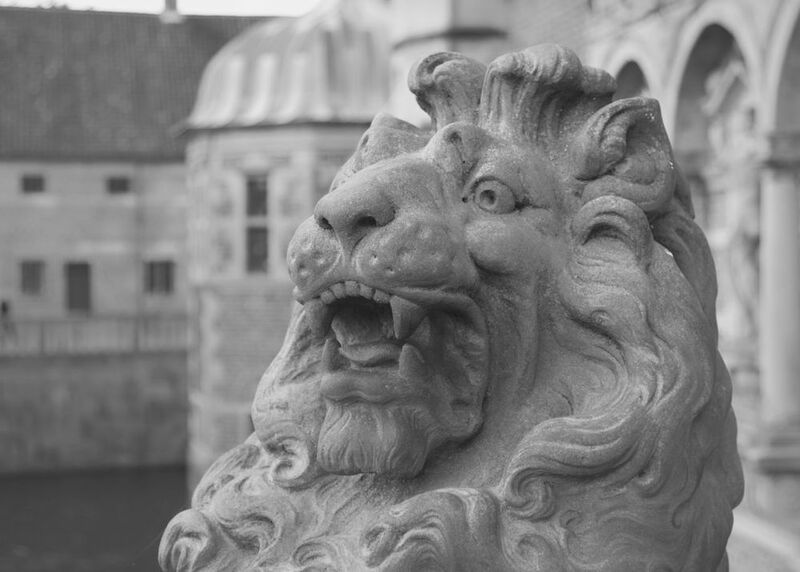 Although it was only a week, I really came to like Copenhagen a lot – I think it’s up there on my list of favorites that I’ve been to in my time here. It has a great vibe, and the people are really nice. Hopefully I’ll get to go back again – I’d like to see more of the area outside the city.